HighRiskVoyager - Flexible Travel Medical Insurance, designed to cover European residents travelling for business, work, volunteering, charity work, study or leisure to high-risk locations worldwide. High Risk Voyager offers a flexible travel insurance cover for NGO, IO, Reporters, Journalists, Outreach, Study and Adventure Travellers to hazardous locations worldwide including war zones, disaster relief and crisis zones, in the event you have a sudden, unexpected illness, injury or incident when travelling, working abroad or volunteering outside of your home country. High-Risk Voyager Travel & Medical Insurance provides flexible travel medical insurance cover for people travelling worldwide outside of their home country for business, work, charitable or leisure purposes including travel to high-risk territorial zones not covered by standard travel insurance policies (including those who have already travelled). High-Risk Voyager is available to UK & EEA Residents (and overseas dependent territories) and offers the following benefits for cover outside of your Home Country. - Travelling to a high-risk destination for work, business, leisure or volunteering? - Are you a journalist or reporter working on the frontline or in hostile locations? - Travelling to a country or region where your government is advising against travel to? - Needing travel insurance for locations such as Iraq, Syria, Afghanistan, Central Africa? - Are you adventure travellers going to a region not covered by your standard travel insurance? - Travelling on an out-reach or charitable program? 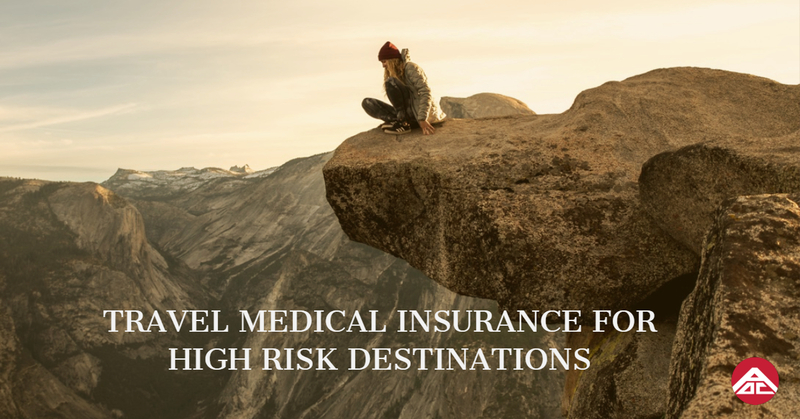 High-Risk Voyager Travel Insurance is designed for travelling professionals and pioneers such as journalists, photographers, filmmakers, aid workers, interpreters, volunteers, students and engineers. *Suitable for business and work single trips up to 365 days and leisure travel up to 31 days. *Available online and even after departure. 100+ Sports activities cover as standard, including Winter Sports. Personal accident, hijack, mugging, piracy, wrongful detention, plus PTSD assessment and counselling following a hostile event. Note: The above is only a non-contractual summary of the policy. Refer to the applicable Policy Wording for full policy terms, conditions, limits and exclusions (available upon request). Polices are sold on a non-advised basis and arranged and arranged and administered on behalf of the above company Voyager Insurance Services Ltd. All policy documentation and customer service are provided in English. High-Risk Voyager Travel Insurance, VoyagerPlus Travel Insurance and GlobalVoyager Travel Insurance have registered trademarks of Voyager Insurance Services Ltd.